Learning and having command over the Japanese language without having a mastery of kanji is the equivalent of attempting to climb a high snow-capped mountain in a t-shirt and shorts. Without a thorough grasp of kanji, you will not make it very far. You want some new high tech gear, and a group of Sherpas? Then you want WaniKani. 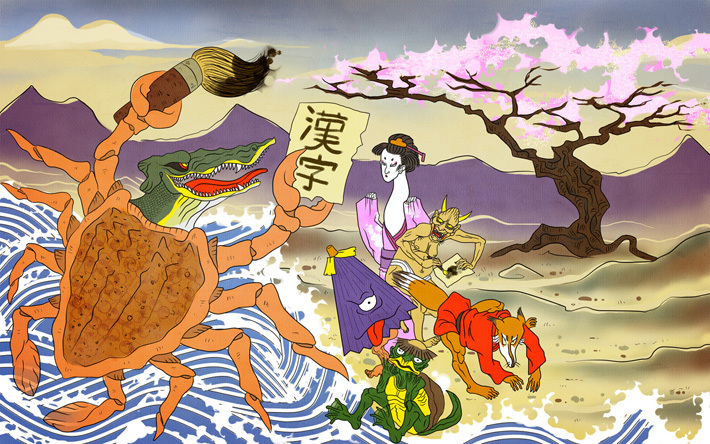 WaniKani (literally “alligator-crab”) is a new kanji learning tool, developed by the masterminds at Tofugu. It helps you develop an identity for thousands of kanji, making words come to life. Imagine a system so effectively structured that you are spoon-fed all essential kanji necessary to assist you in reading any popular Japanese publication. A system that takes you on a 50 level journey to conquer 1,700 of the most highly used kanji and a total of 5,000 vocabulary words. On this journey, the most highly prized weapons you can carry are your diligence, motivation, and self-determination. Similar to one of my favorite learning tools, Remembering the Kanji, you are trained to learn kanji through highly livid and detailed stories. 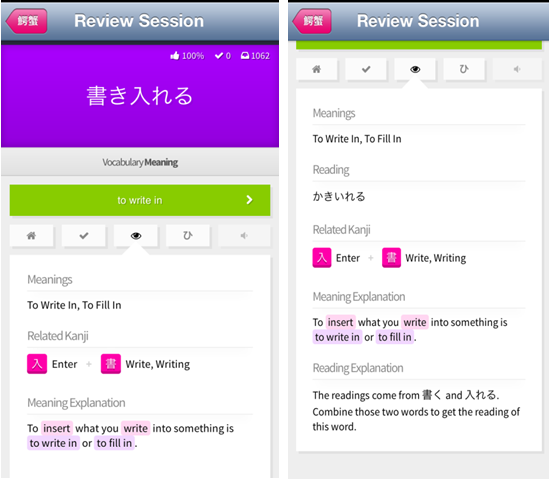 A highly effective SRS system (similar to Anki) then organizes the kanji to present you daily reviews. These daily reviews vary in content and length, depending on your level of kanji mastery (as you increase levels your daily reviews increase). WaniKani also pairs up kanji that you have previously learned to create new vocabulary words, enabling you to expand and strengthen your vocabulary. This is an efficient process to get the most out of every kanji you learn. During your daily reviews you will be challenged with different kanji groupings; you willl quickly accumulate an abundance of new vocabulary words that will aid in your conquest over written language. 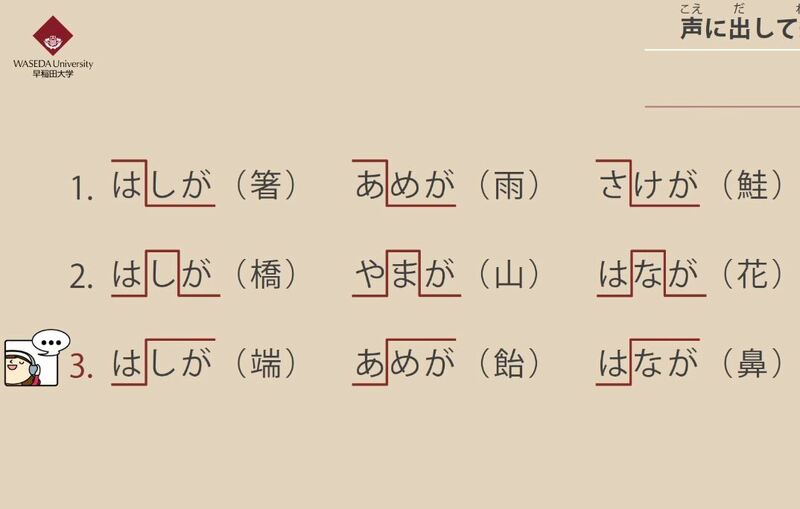 Kanji groupings developed for each kanji you learn are implemented to help expand your vocabulary. WaniKani is made for those that are serious and devoted to learning kanji. The system accommodates those who may have busy schedules. You can complete your reviews anywhere, just as long as your phone is within reach. An iPhone app has also recently been created for this program. Now what is your excuse? 2. Monthly recurring charge of 8 dollars. The majority of vocabulary words are recorded and there is an option to have words spoken. This is helpful for memorizing the correct pronunciation, and ultimately identifying it in everyday conversation. Most stories are very graphic, and shocking; the stories for the most part will remain with you until you firmly memorize the on’yomi, and kun’yomi readings. Evaluation bar graphs are prepared for each WaniKani user. This feature allows you to gauge your average speed per level, and your anticipated date of completion for the entire program. It is also possible to see which kanji has tripped you up the most, and how many total kanji/vocabulary words you have learned. If you want to make a note under a particular kanji, a textbox is provided. I sometimes like to input a Japanese sentence into the text box for words that have tricky meanings. This is a really useful tool. Koichi (founder of Tofugu/WaniKani) and his team have done a superb job of giving timely feedback. I have emailed the team on various occasions, and have received prompt emails always within 48 hours. Koichi has answered personally any question I have had on how to use WaniKani. For example, he told me sentences with vocabulary words are currently being developed, and sometime in the future they will be implemented into the program. 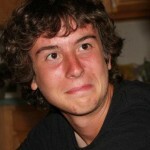 WaniKani has a great online community and message boards. From these boards, I have picked up fantastic tips on manga, textbooks, classes, and other really neat resources. The community presence is also great because it keeps you competitive and motivated. You can view anyone’s profile and see when they signed up, what level they are currently on, and the kanji they consistently get wrong. You can race a friend through the levels while also working diligently (to avoid errors because you know your errors are publicized). WaniKani’s words are not featured in sentences, which may prevent you from getting a deep understanding of complex words. However, you can simply use an online dictionary to find sample sentences. Each level is composed of about 100 vocabulary words and up to about 30 kanji. The levels progress from simple to more difficult kanji. If you are already at an intermediate or higher Japanese level, it would be great to have the ability to select your level eliminating the need to go through early levels. However, the review can be a good refresher, and you will advance quickly. Levels fly by the better you become. Any of you guys ever use WaniKani? What did you like? What didn’t you like? Studying everyday in every way possible, till I reach the top. I’ve been using WaniKani for just under a year and a half now and I’ve been pretty impressed with it so far. Thoroughly learning Kanji is draining and exhausting but I’ve been able to maintain motivation and for that it gets an A+. Since it’s an SRS system, I’m starting to see the downsides to SRS based learning methods. Unless if you do it every single day until completion, you’ll all of a sudden be hit with a mountain of reviews and from that point on, it’ll make you feel as though you’re always playing catch up instead of advancing. And even if you do get caught up, by powering through the mountain of review items, you’re stock piling all those reviews to come crashing down on you again in the near future. So instead of focusing on other Japanese related studies, I do find much of my study time dedicated to WK. That is the one downside to WK and other SRS based learning methods. Wow! Fantastic input, I really appreciate your insight. I too have been using wanikani for about a year and a half. I agree, if you don’t remain consistent you will be hit by an avalanche of reviews. Making wanikani apart of your daily routine is crucial. It is a huge time commitment, but I generally like to couple it (wanikani) with a nice japanese podcast. This way I feel I’m being most efficient. One minor correction: some of the features you identified, like the phone clients and the progression graphs, aren’t created by WK themselves, but are user-created third-party tools which are powered by the provided API. However, that certainly doesn’t diminish their usefulness, though anyone relying on them should be aware that they’re not part of the WK subscription and may not always be supported or updated. Oh, terrific point! 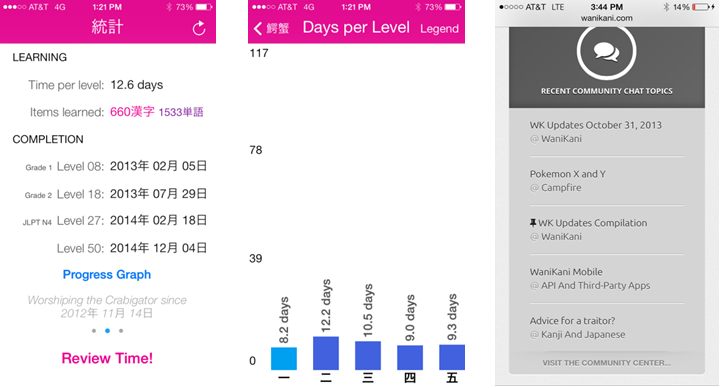 The app with the progression charts are developed by a third party; however, the most useful tools- online community chat and kanji and vocabulary progression are within the website and controlled by wanikani under “profile” tab. I’ve never used WaniKani (I learned my Kanji before WaniKani was released), but I can vouch that Tofugu’s products are always awesome. I used Textfugu for a while when I was beginning, and I can say that it’s one of the best starting points for learning Japanese. WaniKani looks great, too. Yea, they have some good beginner material. I also used textfugu years ago, it was very helpful. Thanks for the comment, I hope you give it a shot! I never heard of WaniKani until I read this article. After I tried the two free levels, I signed up for the $80 yearly subscription. WaniKani is way better than Heisig’s Remembering The Kanji. Learning the onyomi and kunyomi readings while you are learning the kanji is the better way. Great point. Learning on’yomi and kun’yomi at the same time as mastering definitions and radicals is truly an efficient way of learning. I’m glad you were able to implement wanikani into your study routine. 1- That I can’t use it offline (mobile app). It would have been nice if at least the upcoming review/lesson, could be pre-downloaded into the app so that I can use it when I’m somewhere with no network, such as the subway. 2- I’m rather advanced in Japanese, and although I don’t mind starting from the beginning (as you said, good review), the progress is so slow. Even though I’m ready to jump at the next lesson, the app literally forces me to wait 4 hours for the next phase. Thanks for your contribution. I think that’s a great idea you have with pre downloaded material, I can absolutely see how that would be helpful to users. Yea, I understand where you are coming from- the site may not be as efficient for an advanced learner, but I hope that your able to hang in there and benifit from some of the later levels. As time goes though you will have so many reviews that you will be constantly trying to catch-up, and the timing issue will become irrelevant. Thanks again! I just began using WK in Sept last year, and am on level 9 so far. I just couldn’t power through RTK, and am glad for WK in that I am able to pick up readings, radicals and vocab simultaneously. I love the level-ing concept, it keeps it interesting and me motivated to get to the next level. The community is active and there are many API add-ons. I’m glad to hear sentences will be added, I feel like sometimes I don’t understand the usage of the vocab word. Oftentimes, I look it up in Midori to read examples. Thanks for the review! Thanks, I’m glad you enjoyed the review Joni! The biggest downside for me is the subscription model which does not have a lifetime option. Once the yearly/monthly subscription is over, you’re sent back to the free levels (1 and 2). Paying while I learn is okay, but once I complete all levels, I may want to go back and refresh some kanjis on a need basis and for this, we’re expected to pay again. This does not make the app a utility for life – one would want to come back and use it as a reference for forgotten kanjis 1/5/10 years after completing all levels. I’ve dropped them a mail and am yet to receive a response. Will have to look for alternatives otherwise as my goals are longer-term (immediate goals are passing JLPTs). James, could you suggest alternatives similar to WK which have content available lifetime, even if at a premium? RTK of course will require creating a whole mnemonic system on my own and I’m rather pressed for time to do that. I’m also not aware of any comprehensive Anki deck which exists for RTK. I also agree with an older comment about no offline support in the third-party app – but again, since its made out of an intent to help the larger community, I guess there’s little room for complaint. It would be nice though to have an official Android app which incorporates offline support. Doesn’t take away from the fact that is the only Kanji learning app that I’ve come across in my research which helps you hit the ground running (i.e. the mnemonics already being in place). Kanjidamage showed promise (AFAIK, they came out before WK) but severely lacks a mobile app and active support from the developer – I wonder if that would change if he decides to make a business model out of it? – Adshap’s modified RTK deck can be downloaded for free from this website (you’ll find it by clicking the Store tab above). The “modification” in this deck is that cards come with both english keywords and japanese keywords (i.e. a word using that kanji). This is of little use in the beginning but makes all the difference in the world as your level increases as english keywords naturally start to feel bothersome once you know enough Japanese words using the kanji. 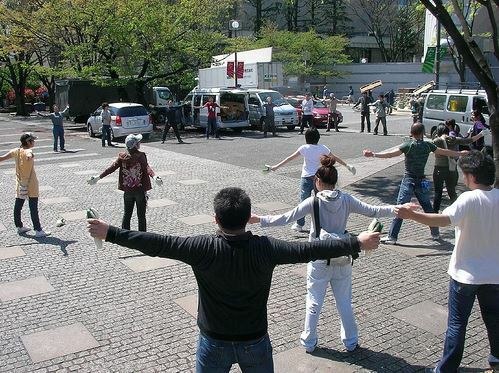 – On the website “reviewing the kanji” (http://kanji.koohii.com/) you’ll find a wealth of ready made stories for each kanji made by users who went through RTK in the past. All you really need to do is to skim the top stories and find one that works for you (I generally could). Using this website is also free, and in fact it makes the book obsolete in my opinion. I just tried signing up for it, but had to sign up for a beta invite? What’s the deal? It looks like a lot of people have been using for quite a while? I’ve got 6 weeks before I go to Japan so I’m trying to brush up asap. Yes, you do need to sign up for a beta invite, but they should get back to you really quickly with an acceptance e-mail. It just says it’s still in beta because they’re adding things like new levels, vocab words, and context sentences. I know this is an old topic, but having searched around I’ve never seen an average completion time for wanikani. I previously got past 1000 kanji with RTK fairly quickly, but after a learning hiatus, I couldn’t bring myself to start again and wanted a new format to keep it fresh. Has anyone out there completed it? If so, how long? How long will it take to learn everything on WaniKani? It depends on how fast you work. Some people complete the main levels (1-50) in just over a year, which is very fast. There’s also bonus content to think about (levels 51-60). Those levels will take another month or two to complete. For most dedicated students, finishing all 60 levels in 1.5-2 years is a reasonable goal. You may go faster, or slower, but it all depends on your pace. Considering that most Japanese learners using “traditional” methods take 10+ years to do the same, we think a couple of years isn’t that bad at all. I completed RTK some time ago but I still have a fair number of reviews every day, and I find myself forgetting some mature kanji from time to time. I’m wondering about trying different systems to reinforce kanji knowledge. My concern is: would multiple methods interfere and confuse each other? Am I going to get muddled up between the different names for radicals and mnemonics? I stalled halfway through Jalup Advanced and I’m working through several grammar textbooks now because I thought basic grammar was weak. Looking to pick up with Jalup again in a few months. Do I just keep doing RTK reviews and hope it eventually sticks? Should I add another method in parallel to reinforce? E.g. Kanji Kingdom or Wani Kani? I think when you are unsure, it’s worth it to give it a try, and see what happens. Depending on the person, one method will stick better than another, and until you try it, you’ll never know. Hi, I have tried to use wanikani after rtk just to solve the problem I still have with readings and some more difficult kanji, but unfortunately it didn’t work for me: radicals and primitives are quite different and they force you to complete the process from the beginning (you can’t skip the kanji and the readings that you alrealdy know). That takes time and MONEY!